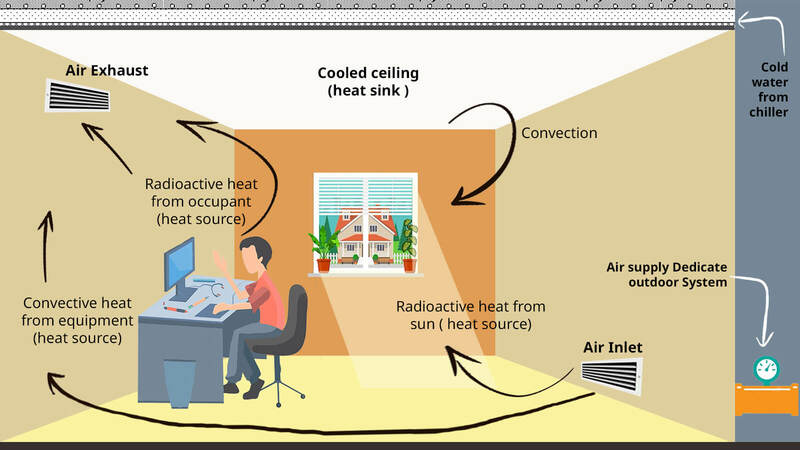 Radiant cooling is the use of cooled surfaces to remove sensible heat by radiation and convection. It is one of the most energy-efficient ways of providing cooling in buildings. The application of radiant cooling is relatively new in India. As the technology is new, lack of detailed understanding of radiant cooling system, not enough design and simulation capabilities, and limited knowledge on integration with the building and rest of the HVAC system are some of the barriers in scaling up of radiant cooling systems installations. To bridge this gap, BEEP provides training to Indian professionals involved in the designing of HVAC systems and those working on energy simulation to enhance their knowledge on radiant cooling systems. The objective of these training programmes is to help these professionals design and implement radiant cooling systems better in the building projects they are involved in.